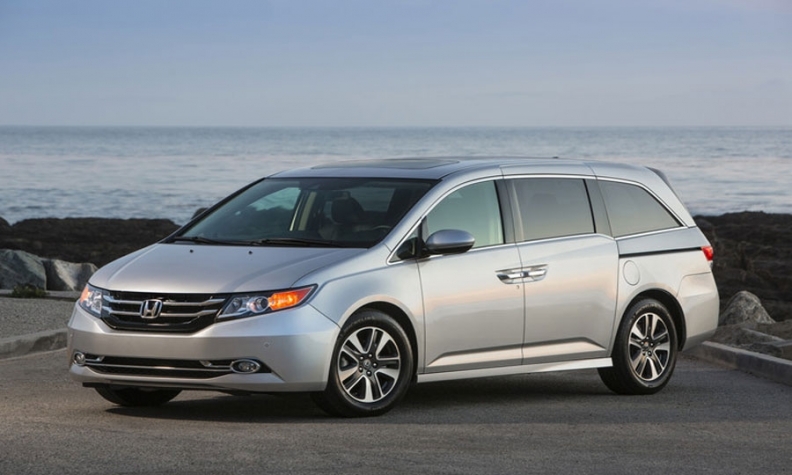 Honda Canada has recalled 52,834 Odyssey minivans for two separate issues that both involve second-row latches. In 52,710 model-year 2011-’16 Odysseys, a mechanism that “allows the outboard second-row seats to tilt and slide forward for access to the third-row seating area may not properly lock the seat into place when the seat is returned to its normal position.” The problem increases the risk of injury to passengers seated in the second row, the automaker said. Honda Canada did not indicate any reported injuries as a result of the issue. Dealerships will install additional brackets and springs to both second row outboard seats. American Honda said that the necessary parts will not be available until spring 2017 because of the large volume of new parts needed. The automaker will begin notifying affected owners in mid-February and again when parts become available. The automaker will begin notifying affected Odyssey owners in late January. Honda dealerships will inspect the latch mechanism and adjust it to ensure proper operation, if needed, the automaker said. The issue was discovered during internal quality checks and no crashes or injuries have been reported because of it, American Honda said.